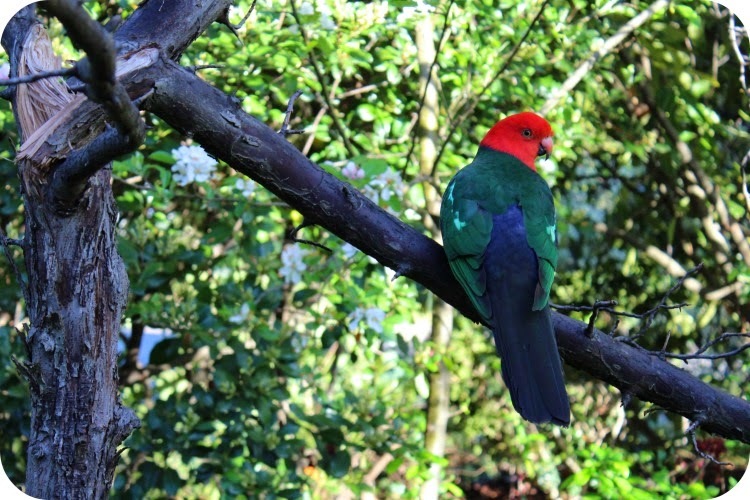 A pair of pretty king parrots came to visit. 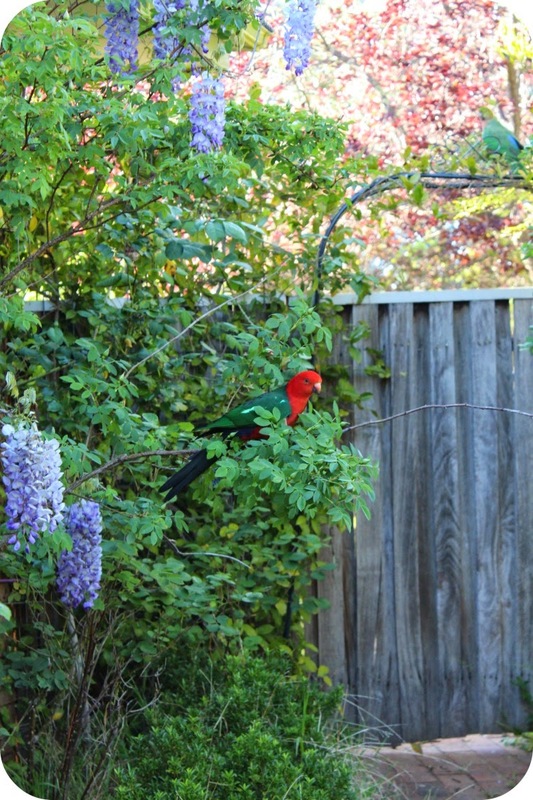 The male ( red head /chest ) was right outside the lounge room window. I sneaked out with the camera and saw the female ( green head/chest ) up on top of the arch, she blends in and is much harder to see, I knew to look for her though as it is rare that you will ever see these birds alone. I stayed behind the camera so as not to make direct eye contact and scare them off, slowly inching forward to get a better view when suddenly he took flight, directly towards me at low level and landed on a branch a little more than arms reach away! He kept his back towards me as if posing! looked at me over his left and right a couple of times , then I lowered the camera and spoke to him. 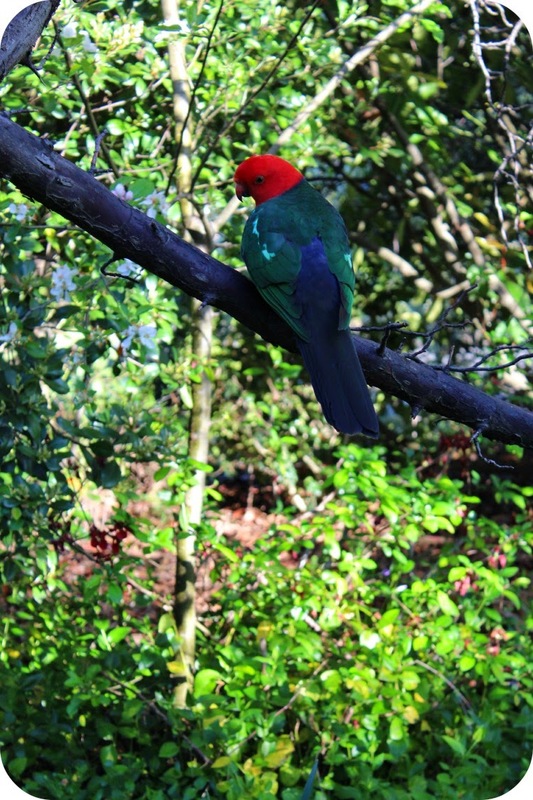 He stayed a few seconds longer, let out a squawk and they flew away. Beautiful! How amazing to have these birds in the wild near your home. We have some that like hubby's apricot tree. I didn't know which was the male or female but I will watch out for them in future. They are quite beautiful.